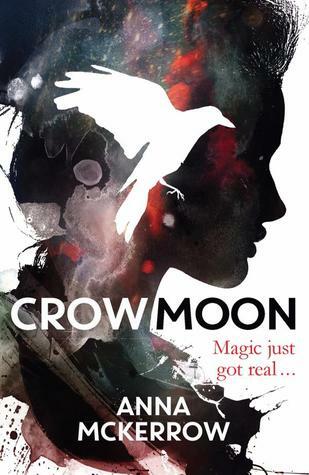 Today I am very pleased to welcome the fabulous Anna McKerrow to the blog as we dive back into the second instillment of the crow moon trilogy with the delectable Red Witch. Was it easier to write this time around? And who are her favourite witches in fiction? We asked all the important questions!....Have you read it yet? Let us know your thoughts! 1. What is your writing process like and was it easier writing book two? I am quite instinctive with writing and so I have a general story arc in my head and scribbled down here and there, with the main events sorted, like whose point of view each book will be told from, what basically happens in the end and what kinds of themes I want to address, but other than that I am quite open to where the story goes as I go along. I’m quite a fast worker so I get a lot of word count done fairly quickly when I’ve got my head down and concentrating, but taking a more instinctive approach probably means I rewrite more than someone who is more of a planner. There are often times when I need to reimagine plot points and character motivations so those things can get rewritten a lot until they make sense, and I tend to rewrite the beginning a lot as I go along. There’s also the layering of storylines and emphases that I tend to go back through and write in, depending on how important it is for that particular theme or drama to come out more. So it can be quite practical things like writing in someone’s accent throughout when you decide to give them one and they didn’t have one before, or something a bit more emotional like you realise you need to build up a sense of alienation or obsession and you need to go back and build it up slowly. In terms of actual process, then, I tend to write a first draft pretty much start to finish and then go back through and rewrite a lot. It was easier writing RED WITCH because I had the world and the main characters sorted in my head so I didn’t have to think too hard about their motivations and make decisions about the world too much. But on the other hand I had far less time to write it - maybe that’s a good thing though! 2. When you’re building a new world (or culture rather) that exists in actual places what are the important elements to focus on? What was important for you to get across in this? Do you mean in terms of drawing on ecopaganism and witchcraft to create the Greenworld? I think generally in terms of worldbuilding, if you’re doing something that isn’t set in contemporary society then you need to be as thorough as possible and as sensual as possible - sights, sounds, smells, tastes, textures - without being boring, because you have to create your world inside the reader’s mind and make sure they know what they need to to visualize and understand it and to not get confused, because then you’ve lost them . So all that detail has to be woven into your plot and character exploration rather than standalone in big blocks of “THE WORLD IS LIKE THIS” unless you have some good devices to make that work - which can be things like newspaper excerpts or journals or TV or something that exists in the world as a document or external voice that CAN show the world as it is and not be too distracting. In terms of the specific world in CROW MOON and RED WITCH, because it draws on an existing culture, those details have to be correct and I think because it’s a specifically spiritual culture, it’s not enough just to research the nuts and bolts. I think to be authentic you need to understand that belief, way of life, and the magic specifically for it to come across as magical and reverent and not just a mathematical equation of “you draw a circle and stand in it”. There’s a big difference between understanding something intellectually and understanding something personally. So I think I did a good job of representing the Greenworld witches’ beliefs and magic and I’m particularly pleased that the pagan and witchy audience for the book are so happy with it. At the same time, again, you can’t make the story a textbook. It has to be about people, it has to have a story. So there’s a line to be trod between authentic foundations and it still being a good, well-written book that anyone can enjoy. 3. The witchcraft focuses on more natural pagan roots, why was this important for you to do? I love witches in fiction but generally they’re represented negatively or badly and ill-informed. 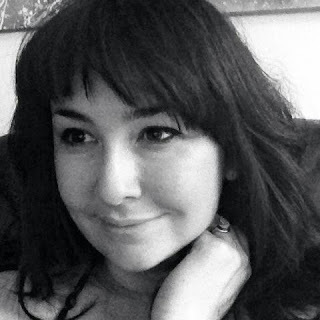 As a pagan I wanted to write something that represented my experience of what witchcraft really is and reclaim the witch as a wise woman (or man) connected very deeply and vitally to the earth, which is what the witch really always was before the patriarchy decided to take her power away by making her evil or silly. It’s also a good reminder for us today that power doesn’t come from your brain or from some supernatural other place via a magic wand. There is no supernatural - it’s all natural, it’s just that most people are unaware of the power of being connected to the earth and the universe’s natural rhythms and the profound change and empowerment that can bring to your life. 4. How much research went into this, and can you share some of the more interesting things you found out? Lots, a lifetime almost I suppose, since I became a pagan in my teens! I’d be here all day and probably for years recounting all the very interesting things I have learned and done over the years. I’m always learning new things. At the moment, herbalism, lucid dreaming and about spirit animals. 5. Do you have a favorite character to write? I’ve really enjoyed writing all the point of view characters so far. Danny in CROW MOON flowed very easily and he was funny. Melz flowed quite well and I liked her dramatic side, it was lots of fun to delve into her passion and darkness. The point of view character ib the last part of the trilogy I’m writing now is different again. I also really like writing Omar who’s the big bear of a man among all these very powerful women. He’s very much a man’s man but he also likes strong women and I love that. 6. Why do you think witches and witchcraft are still such popular topic in fiction? People are fascinated by the idea of magic, the idea of simple transformation and achieving your heart’s desire, if only you had that power. I think that’s what it appears to be on the face of it. But that idea of witches and witchcraft, that it’s a power gifted to the few and it will invariably lead to trouble, is such a big lie. I think the real reason people are fascinated is that they know instinctively that power is theirs too and they want to know how to access it. 7. Who are your top 5 witches in fiction? I would say Willow in Buffy, Morgan Le Fay in the Arthurian saga, the Charmed witches, the witches in The Witches of Eastwick by John Updike (the book is awesome, the film’s fun but it really misses out on the power of the book); I like Nancy in The Craft, even though it ends badly. 8. If you could represent Red Witch with a song, which would it be? 9. What can we expect from the final instalment in the trilogy? 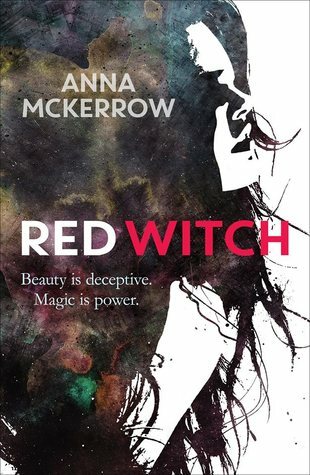 Red Witch is out NOOOOOW so what are you waiting for grab your copy now! Red Witch is a rare achievement in combining politics, history, entertainment, and mass appeal. Huffington Post This is another sequel that I think was even better than the first book, even though the first was fantastic.